form of energy. It represents one of the fastest growing environmental influences we face today. 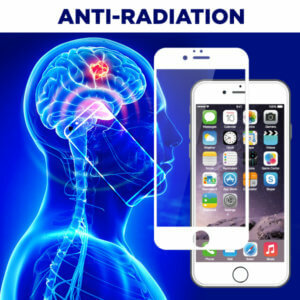 All electronic devices produce EMF, but EMF produced from cell phones have come under the most scientific scrutiny due to its ever increasing presence and how we use them. 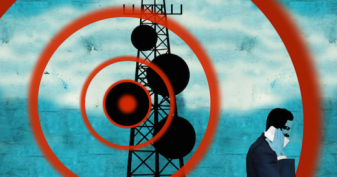 Cell phones emit multiple EMF frequencies in order to function as an electronic device and to send and receive signals from cellular towers. Mobile phones typically operate at frequencies between 450 and 2700 MHz with peak powers in the range of 0.1 to 2 watts. study by the Hardell group in Sweden found a consistent pattern of increased risk for glioma and acoustic neuroma associated with the use of mobile and cordless phones. It’s important to understand that finding correlation and proving causation are two different things. Despite numerous studies showing a correlation between smoking and lung cancer, it still took over 50 years for the medical and scientific community to accept cigarettes as a cause of lung cancer. For better or worse, this is the nature of medical science. Its up to individuals to be informed and to protect themselves. Fortunately, there are three simple and easy ways that people can protect themselves from EMF exposure. The absorption of EMF radiation is cumulative. To help reduce your exposure, shorten the duration of phone calls as much as possible. When placing your phone in your pocket or bag, consider placing it on airplane mode or turning it off. Reducing your gadget usage is also beneficial. EMF radiation follows the inverse square law and tapers off with distance. When possible, use speaker phone to reduce your exposure by more than 1/2. RadiArmor’s AirTube Headphones are designed with this principle in mind. Our headphones reduce EMF exposure by 99.9% when compared to exposure during normal cell use and up to 97% reduction when compared to ordinary headphones. You can also shield yourself from the electromagnetic radiation. Shields are designed to either absorb, divert or deﬂect radiation emitted from your electronic devices. RadiArmor’s iPhone cases (available for iPhone 7 and iPhone 7 Plus) have a proprietary EMF blocking membrane lining the front cover, blocking up to 91% of EMF radiation. This not only protects you while you’re on your phone but also in your pocket.